A mass of ox-eye daisies by Canary Way. That conversation led to an annual visit to a patch of grass - now a wild flower meadow - outside Big Yellow Self Storage on Canary Way, opposite Norwich City FC’s football ground (for example Big Yellow bee orchids are back, June 2016). 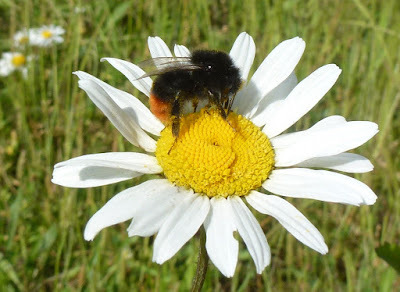 Red-tailed bumblebee on an ox-eye daisy. Bee orchid; this one has thrived despite being slightly strimmed. 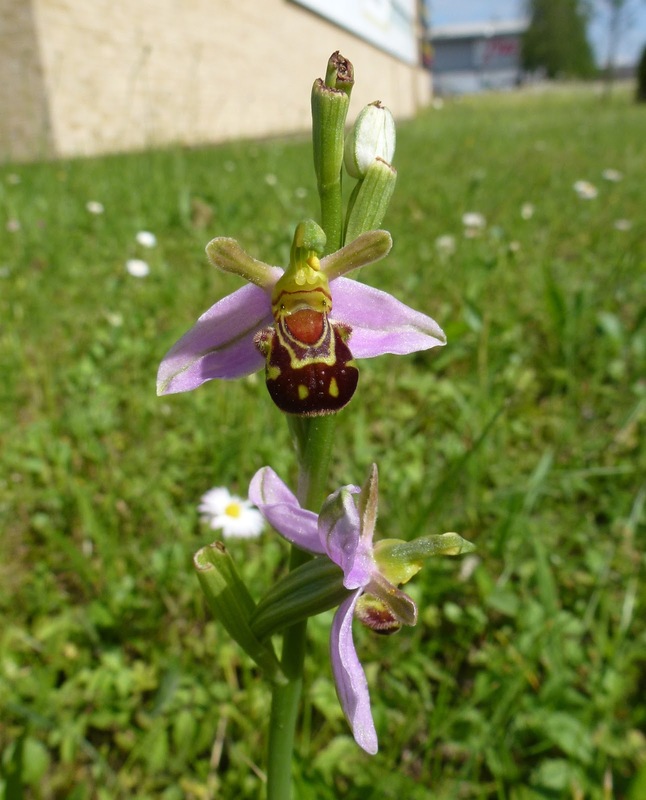 Bee orchids like thin turf and have a way of popping up opportunistically in surprising and often infertile areas. The denseness of the daisies made me wonder if the bee orchids would be crowded out – in ecological terms as this bit of grassland micro-habitat moves to a later stage in its natural succession. The reality was interesting. Only one bee orchid was among the uncut area with the ox-eye daisies. However there were six more in the adjacent area that had been rough-cut earlier in the spring – but cut long enough ago for the relatively late flowering orchids to grow. It shows that wildlife has a capacity to surprise. So if you are passing The Meadow in the City, do stop and take a look. Better still, pop in and say thanks to the Big Yellow team for how they've helped nature. Updates: 18 June, three Honeyguiders visit, find 12 spikes, and I know they missed one. 25 June, after hot, dry spell: ox-eye daisies like a bone-dry hay crop, 8 bee orchids spikes either gone over or last-lingering blooms. Ox-eye daisies outside Big Yellow Self Storage. Above simply said 'Thank you Barry'. http://www.edp24.co.uk/news/environment/bee-orchids-cringleford-round-house-way-1-5574080 is a story about some 2,000 bee orchids lost to cutting on roadside verges on the outskirts of Norwich. That's an exceptional swarm, but it also highlights the good management at Big Yellow Self Storage. 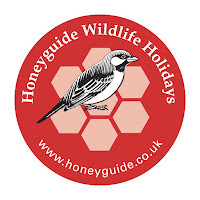 As the updates above show, recent hot and dry weather means if you haven't seen the 'Big Yellow' bee orchids this year, better to save that trip for next year.